I have a NURBS Sphere that I have morphed into the shape of a fish with a lattice. I am trying to add a texture and it won’t work. If I use a sphere that doesn’t have a lattice on it then it works fine. btw, if I add a texture before I add a lattice then it works. Welcome to the forums! Stick with it it gets better - soon you will be addicted! I am not seeing the same problem, I can add a texture to a nurbs sphere with a lattice just fine. I have tried using parenting and the lattice modifier and can add a texture in either case. Can you post a blend file for me to look at? Sure, how do I post it? Another problem I have is that if I add a texture, then add a lattice I can no longer edit the textures. No way at all to go back into textures. Then when I morph/deform my sphere it deforms the texture instead of wrapping it properly. I have the most recent version of Blender. Basically all the options are no longer there when I go into the textures. And sometimes I can go into textures but it doesn’t show up on my fish model. And other times I can’t get back into edit mode after messing with textures and such. This is the website I use for uploading Blender files. You will have to register to create an account. 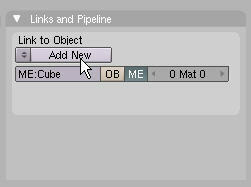 I can get into the textures stuff with this blend file, but I can’t get it to show up on my object. I was able to add a texture. However, one thing I noticed is that you had not assigned a material. Generally, you assign a material, then add a texture to the material. Would you be so nice as to explain how to assign a material? In idiot’s terminology as I am new. Also, why does sometimes all the controls for textures just disappear? As well as the ability to go into edit mode? Still don’t know why the options disappear… Also, in your modified blend as well as mine, after I add my texture and switch to ‘Edit’ mode, the fish turns back into a stretched out sphere. Is this normal? Thanks, see that is what I was doing but it wasn’t working. I did something else and it worked. I have been following some tutorials word for word but I end up not being able to find the button/setting the tutorial says to change/click and I get stuck. It’s becoming a real hassle. It’s frustrating because i’ve been a graphic designer and software engineer since 1998 and being a master of Photoshop and every other 2d graphics program known to man it’s hard to look at a graphics program and be so lost. I put down my keyboard and started welding recently and now I want to get back into doing graphics and video. I had never done any 3d except when programming in C.
So sorry for asking such basic questions. I know the more I learn the easier it will be to learn. I’ve already come a long way since I first opened the program and didn’t even know what I was looking at. No need to apologize, we have all been there. Welcome to the wonderful world of open source software. Quite often, when new releases come out, documentation and tutorials become out of date due to new functionality or icons getting moved. Once you have worked with the software for a while, the old tutorials will start to make sense. Actually, what brought the software to my attention was because of it being opensource. I was a big time promoter of OpenSource when I was a software developer. I owned a company and would release as much code as I could without hurting my sales. Sometimes releasing it with people bought the product so they could change the product to their liking, but many times for free, often times all of the code. I was thrilled to see such a great opensource product, it’s what made me decide to use it instead of purchasing something like Maya. I don’t remember this being around back in around 2003 when I was still hitting the keys hard.